On the seventh day of Christmas Collab, Kim asked of me: Your help must have worked, because it’s now Christmas morning and presents are under the tree! There’s a fancy box with your name on it; which gaming-related item are you hoping is inside? I’ve been a very good gamer this year, I promise. I can’t get over the level of detail this artist put into these pieces… And I’m absolutely in love with the expressions on the characters’ faces. The slight disgust playing on Link’s lips, and the tiny bit of suspicion in Midna’s eyebrows really bring these pieces to life. And the embroidery on her robes… ugh don’t get me started or I’ll just gush all day. What about you? What special present would you love to see waiting for you under the tree? Let me know in the comments! 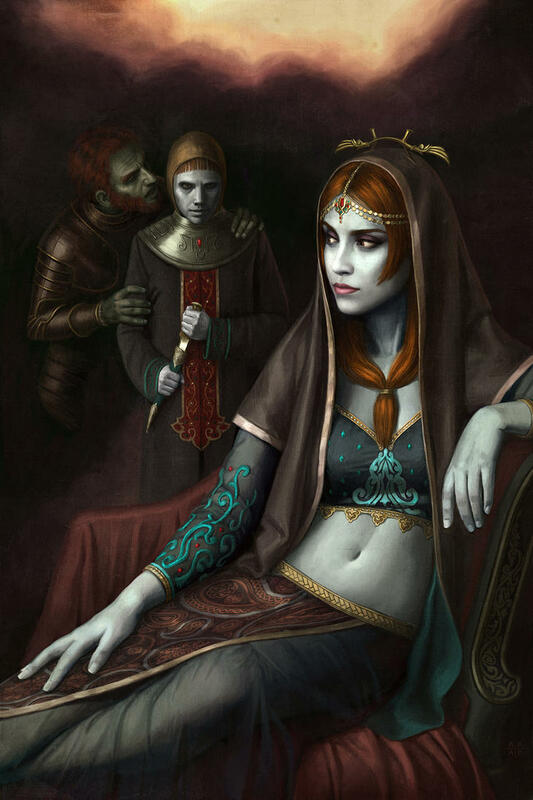 Omg those pictures are amazing o.O I love the one of Midna and also adore the juxtaposition of her as a more eastern styled princess as opposed to Zelda’s western aesthetic. 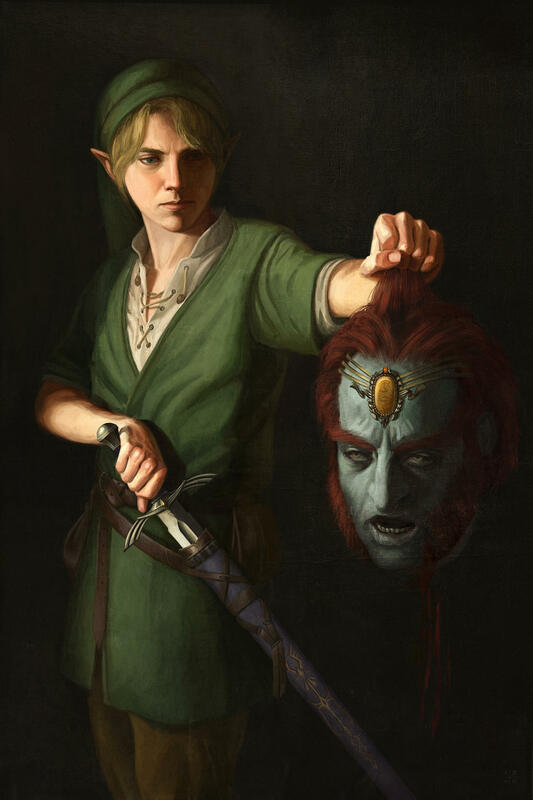 Even that picture of Link holding Ganon’s head is elegant. Aren’t they great?? Yeah I really love the way she’s portrayed here; I can see the Twilight as being less “foreign” (if that’s the right word) the way it’s pictured here… It’s just a different culture, not a scary place full of Hylian boogiemen or something. Such a talented artist. Wow! Astor Alexander is quite talented! Can’t go wrong with beautiful game art. I do have a bit of a high voltage theme going on in my apartment, haha. Right?? I love the one with Midna the most, I think. So beautifully done.